Due to their numerous interchangeable components, system cameras allow a very flexible use and can be individually configured according to requirements. The bayonet is the most important interface, as the lens has a significant impact on the imaging performance and therefore on the final image quality. The strategic partnership between Leica, Panasonic and Sigma will allow customers to use a wider range of cameras and lenses in the future without compromising on so far to have to specify individual manufacturers, because they use propriety bayonets. Dr. Andreas Kaufmann, Chairman of the Supervisory Board and majority shareholder, Leica Camera AG: “Photographers are extremely important for their chosen camera system. Particularly in the increasingly growing market for mirrorless system cameras, there is an ever-increasing variety of different requirements on the part of the users. In order to be able to meet these requirements at short notice, we have decided to work together with renowned partners from the photographic industry. The L-Mount was developed by Leica Camera to provide customers with a future-proof, flexible, robust and precise bayonet that will meet even the most demanding photographic requirements. After its initial launch in 2014 in the Leica T, the L-Mount has been continuously developed by Leica Camera and its partners, resulting in improved and quasi-new L-Mount technology. For the widest possible variety of products, the diameter of the L-mount was dimensioned at 51.6 millimeters, making it suitable not only for full-frame cameras but also for APS-C sensors. The small footprint of only 20 millimeters allows for a small distance between optics and sensor, making lenses much more compact – particularly useful for wide angle development. To withstand even the heaviest loads and to guarantee maximum safety for customers over many years of intensive use, camera bayonets become wear resistant Stainless steel and with four flange segments, which prevents tilting and ensures a particularly firm and flat fit of the lens. The standardized L-Mount contact strip ensures smooth communication between the electronic components in the lens and the camera, including the possibility of firmware updates for lenses, in order to react to technical developments and thus ensure full performance in the future. Currently, the Leica SL system in full format and the APS system with camera models Leica CL, TL2 and TLde use the lens mount. All the optics of the different systems can be operated without restrictions and without adapters on all cameras – here is already one of the many advantages that customers have through the unified bayonet.In the near future, both the Leica CameraAG, as well as Panasonic and Sigma announce other products using the same standard. why does wikipedia list the diameter as 48mm while the press 51.6mm? The new L-mount sets a new industry standard and marks the start of a new era of creative freedom. A first of its kind, the mount will allow for a nearly limitless array of options by combining different interchangeable lenses with cameras featuring different sensor formats. This user-friendly solution pioneered by Leica in strategic collaboration with Panasonic and SIGMA, three key players in the camera space, will allow photographers to mix and match any of the three manufacturers’ full-frame and APS-C cameras with any lens from each other’s product portfolios, thereby opening an untold number of creative possibilities in any photographic situation. The L-mount features a large diameter, which ensures maximum product diversity, as well as multiple electrical contact points, allowing for seamless communication between the lens and the camera. It boasts first-rate quality, featuring four prong segments, wear-resistant stainless steel manufacturing and, and with the dependable Leica SL-System protection from spray water. 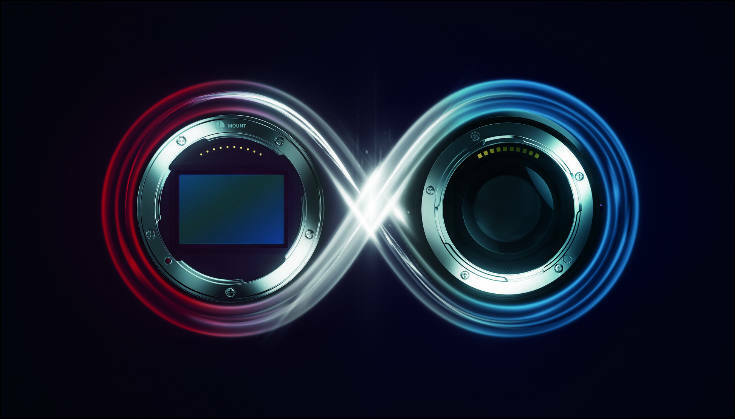 This strategic partnership, at its core, will allow customers to choose from a much wider selection of cameras and lenses without limiting themselves to one specific brand. Photographers can expect future product announcements from Leica Camera, Panasonic and SIGMA that will adhere to this new standard.